Emily Hackbart, Giovanny Guarin and Lantz Pierre are among the 12 PBSC computer science students interning at Dycom. 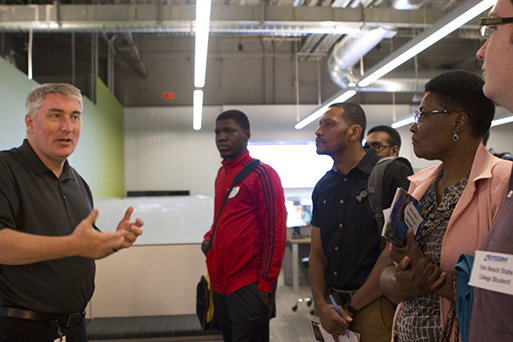 Curtis Chambers, Dycom’s vice president and CIO, leads a tour for PBSC students of the company’s Palm Beach Gardens headquarters. PBSC held the first Dycom internship hiring event in October, a second in February, and the third is slated for this fall. Dubbed the “20-20 Program,” students work 20 hours a week at Dycom and go to their PBSC classes the other 20 hours. 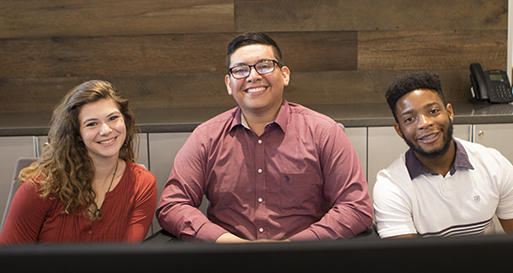 At Dycom, the students aren’t called interns, but are given a real job title of either associate IT support specialist or associate software specialist. All students are eligible to be considered as long as they are enrolled in a degree program (A.S., A.A. or B.A.S) and maintain a 3.0 GPA. These paid internships also have no time limit. Conceivably, a student could be offered an internship while a freshman and continue until they graduate. James Roche transitioned from an internship to a full-time position at Dycom. So far, PBSC is Dycom’s exclusive 20-20 partner. James Roche is the first ‘20-20’ intern to transition into a full-time job. He was close to graduating from PBSC’s Networking Administrator A.S. degree program when he became a Dycom intern last fall. A U.S. Army veteran, he had used the G.I. Bill to go back to school and get out of working retail. 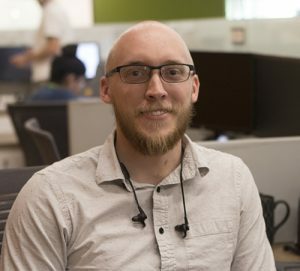 Roche was offered a full-time job immediately upon his graduation in December 2018 and now oversees the team that provides IT support for Dycom’s headquarters. 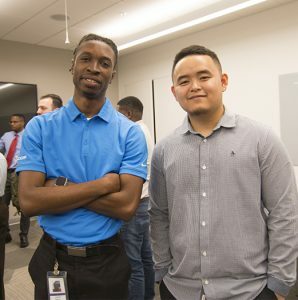 Aaron Gillam, a current intern who is pursuing his Bachelor of Applied Science degree in Information Management with a concentration in Database Administration, hopes to get an offer himself when he graduates in May 2020. 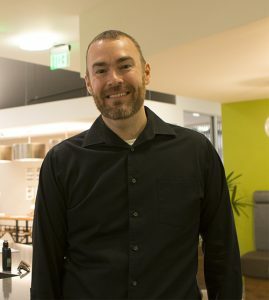 According to Palm Beach State Professor Brent Ferns, chair of the computer science and information technology department, Dycom not only offers internships and jobs, but also provides company tours, classroom guest speakers and advice on what should be taught to prepare students for the workplace. The company is also a member of PBSC’s Computer Science Business Partnership Council. PBSC computer science students and faculty with Dycom staff, after a recent company tour. During a recent company tour, Chambers and Junior Richemont, Dycom’s service desk manager, emphasized that technical skills are not the be and end all. Soft skills and fitting into the Dycom culture are equally, if not more important.